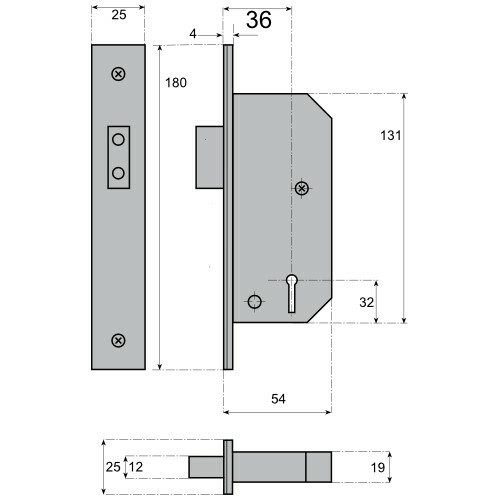 The Union 3G220 is a High Security Deadlock designed for use on timber doors with narrow stiles such as fully glazed doors. 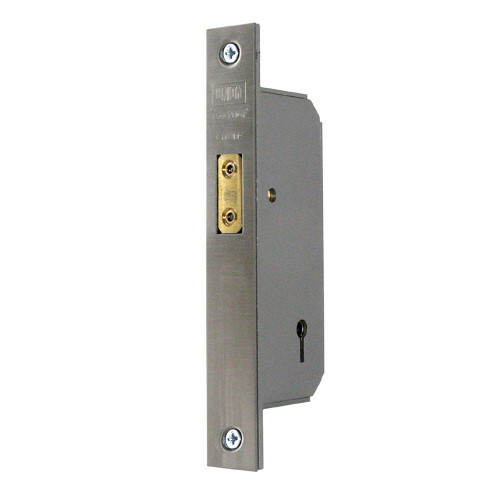 Unlike many other narrow stile locks, this lock has excellent protection against all common forms of attack including a positive 20mm throw solid brass deadbolt with hardened steel anti-saw rollers and hardened steel anti-drill plates. Originally bearing the Chubb name, it is now manufactured under the Union brand name. Produced in the same factory by the same people and using the same technology and parts, this lock remains "Chubb at Heart". Due to size limitations this lock is not certified to BS3621. However, it is considered by most insurance companies to be equivalent to the current standard. 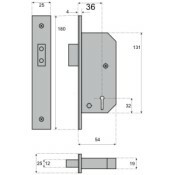 Rebate conversion sets are not available for this lock and it should only be used on doors with plain meeting stiles. One 3G220 deadlock complete with 2 keys, keyhole escutcheons, faceplate, frame keeper plate and all fixing screws.